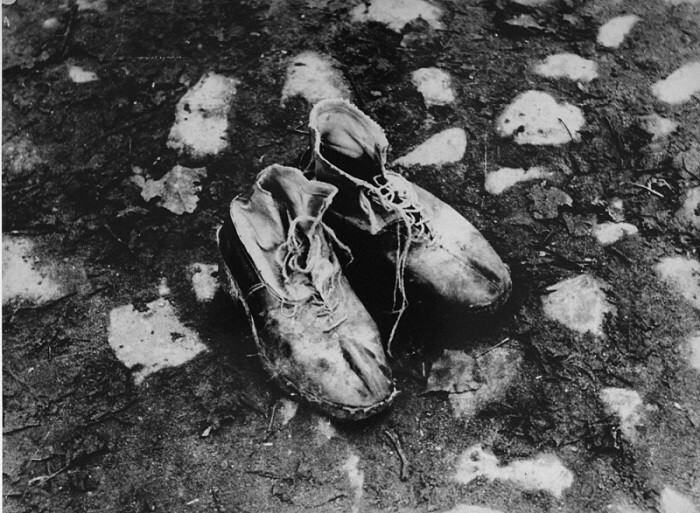 A pair of shoes left behind after a deportation action in the Kovno ghetto. Photographer George Kadish captioned the photo "The body is gone." 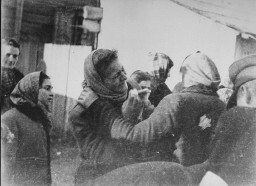 Kovno, Lithuania, circa 1943.